WD has announced its latest SuperSpeed USB 3.0 external hard drives, with the latest My Book and My Passport ranges unveiled, and including a 3TB capacity unit. WD's My Passport Essential, My Book Essential and My Passport Essential ranges all come with USB 3 technology, offering significantly faster data transfer rates. "The drives not only take advantage of the latest blazing-fast USB 3.0 technology, but are also fully compatible with USB 2.0 connections for those who have yet to upgrade their computers to USB 3.0," explains WD. "When connected to a SuperSpeed USB 3.0 port, consumers can transfer data at speeds up to 150 MB/s." 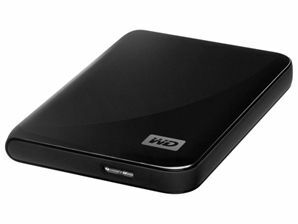 And, also headlining is the whopping 3TB capacity version of the My Book Essential. The My Passport Essential is WD's smallest portable drive and comes in a 500GB capacity in five colours. My Passport Essential SE portable hard drives are available in 750GB and 1TB capacities and are powered directly through the USB cable. Last, but not least, the My Book Essential, which WD calls the 'world's number-one selling hard drive', offers 1TB up to a massive 3TB. "WD's newest line of My Book and My Passport external hard drives features the latest USB 3.0 connection technology, which more than triples the speed to transfer media files, but still works with today's USB 2.0 ports," said WD's Dale Pistilli. "In addition, consumers can take advantage of the highest capacity available on external hard drives with the new 3 TB My Book Essential drive."